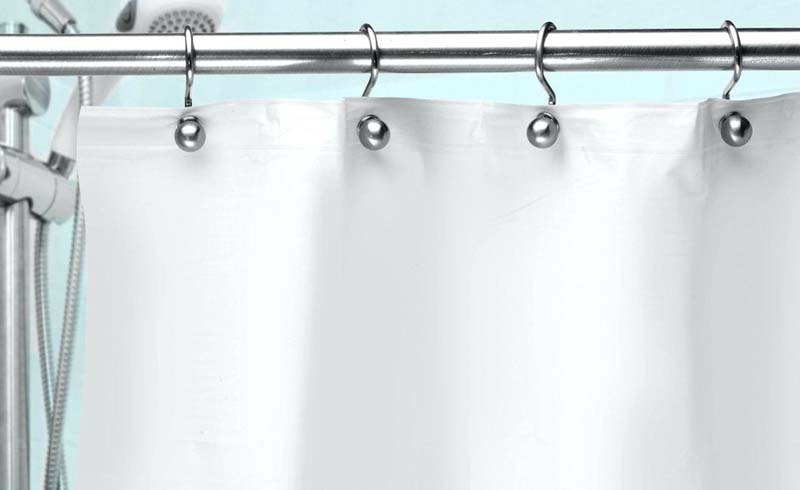 It’s difficult to feel clean after showering if your shower-curtain liner is dirty. Liners are inexpensive to replace, but washing yours is far more sustainable. Clean a vinyl, nylon, cotton, or hemp liner by machine-washing it in hot water and mild detergent. Then shake and rehang the liner to dry—do not place it in the dryer. Give liners a good wash at the start of every season. Hand-wash your liner if the care label does not recommend machine-washing (or there is no care label). Take the curtain outside and scrub it with a solution of 10 parts water to one part chlorine bleach, using a plastic-bristled brush. Let it dry in the sun until any mold or discoloration has faded, then rinse. Shake well and rehang. 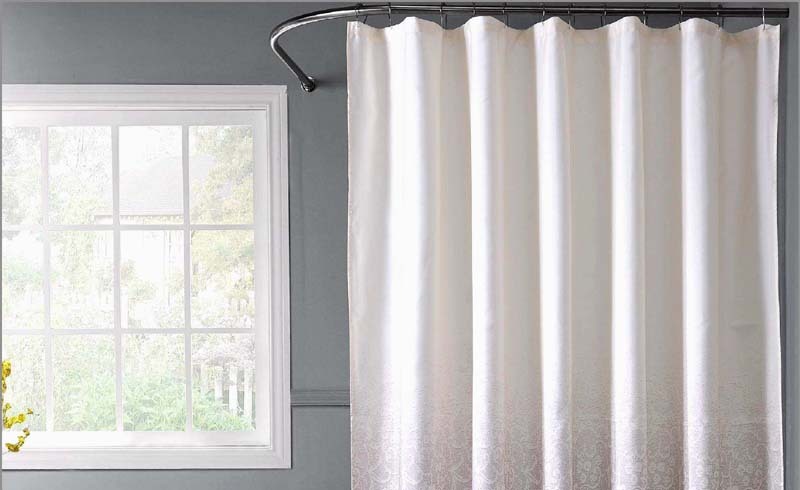 Prevent grime by cutting your shower liner so it does not drag on the shower floor—this will keep dust and moisture from getting trapped in it. After your shower, shake off as much water as possible, and pull the liner closed so moisture can’t collect in the folds.